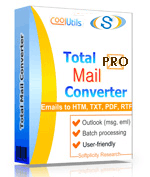 Total Mail Converter Pro is a versatile EML converter that makes you want to keep converting EML to TIFF all day long. The truth is it is not the user who actually has to convert files, but the program itself does it automatically. What the user has to do is just specify messages to be processed and apply settings and options incorporated in the program. The converter has an easy-to-follow user interface arranged in such a way as to prompt the user every following action. For example, if you have clicked on a folder with messages, the program will tell you to specify the messages to be converted by showing you the list of messages, each one supplied with a checkbox. It does not take any special education to understand that it is the files that you have check-marked that the program will convert to TIFF when you select the respective option. This follow-my-command principle is the guiding one. Apart from the common features that you already know, this program has one that allows you to convert EML to TIFF with attachments as well. 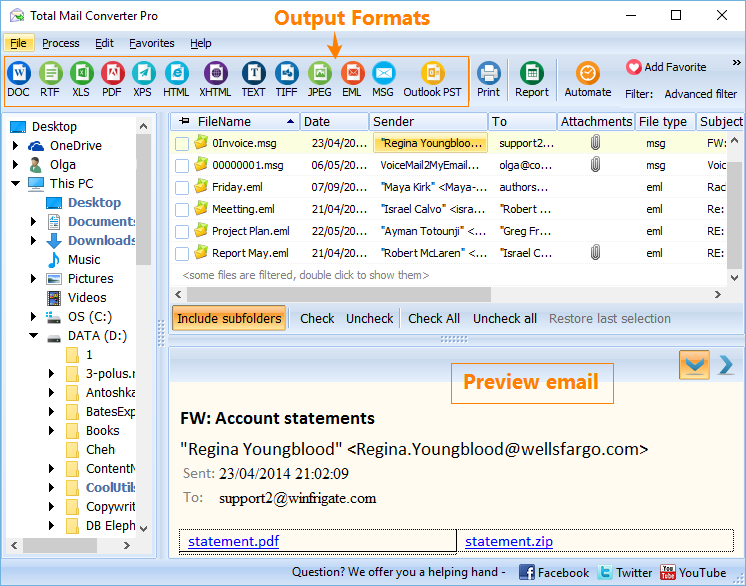 Run Total mail Converter Pro and navigate the folder tree in the left-hand section of the interface. 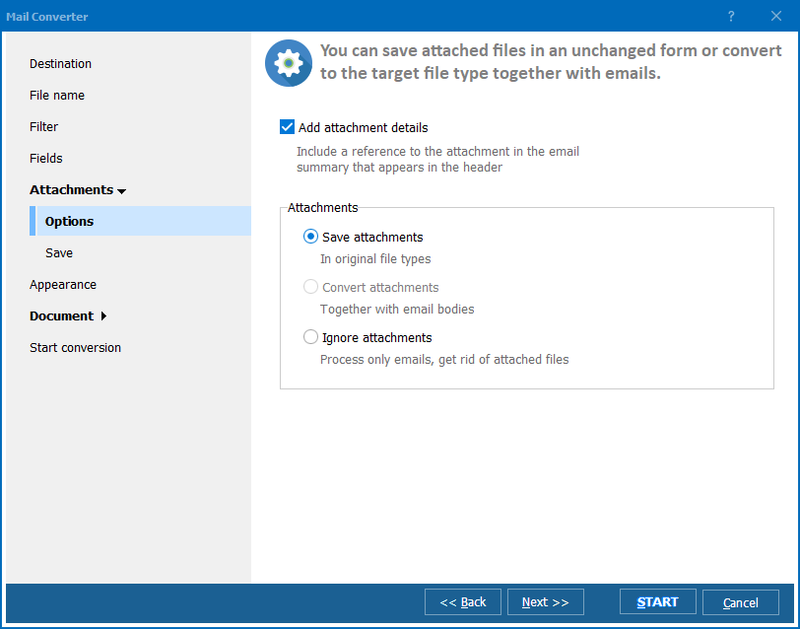 Select the folder with the email messages as described in the previous paragraph. Navigate the list and tick the messages, which you would like to save as TIFFs. Press "Check All" to tick all the messages. Select "TIFF" in the format toolbar. Specify destination of your TIFF files and save the messages either as separate files or combine them into a single file. 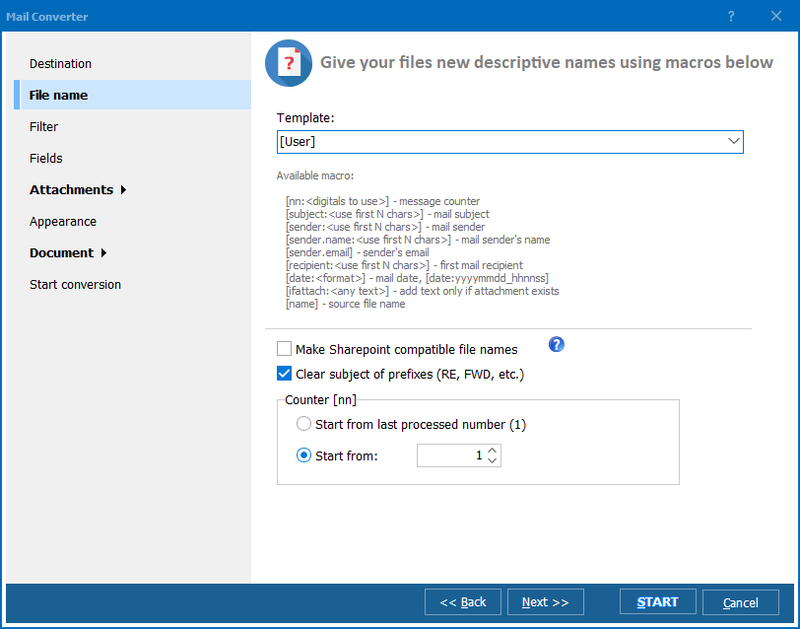 Apply file name template and choose whether or not to save prefixes and choose a file to start naming from. Choose what you want to do about attachments and convert email attachments in the most suitable way. Shape your files using various appearance options. Apply document options, which include paper size, margins, properties, compression, encryption and sign. When you have set all these options according to your preferences, you can choose "Start conversion" or press the "Start!" button.